Happy Granny Square Day 2017! Belated wishes for International Granny Square Day! Did you hook a granny to mark this special occasion? 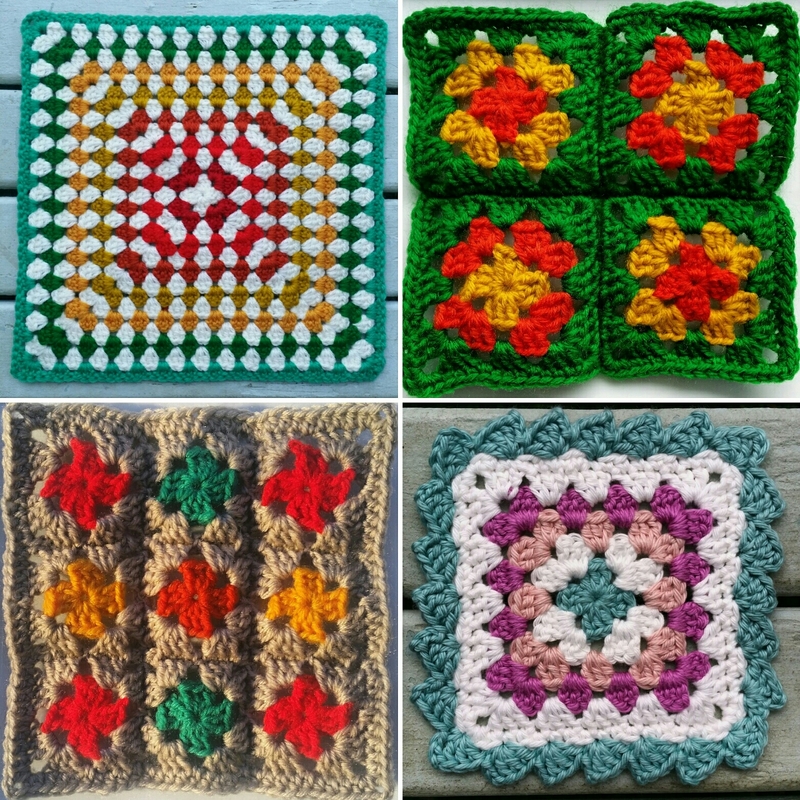 Unfortunately I didn’t get any crochet time on the day itself, but I shared a few I’ve made in the past six months on Instagram, and in the days since I’ve thoroughly enjoyed the granny square explosion over there. I saw a really cool one with a spiral in the centre which inspired me to try my very first spiral myself this afternoon. Bit tricky but lots of fun! Until next time – happy hooking! Love the spiral square! I’ve got a book of crochet blocks from our library and it has a few spiral ones in, maybe I’ll try them! Amazing back drop to your Sophie blanket, and great progress on the blanket too. 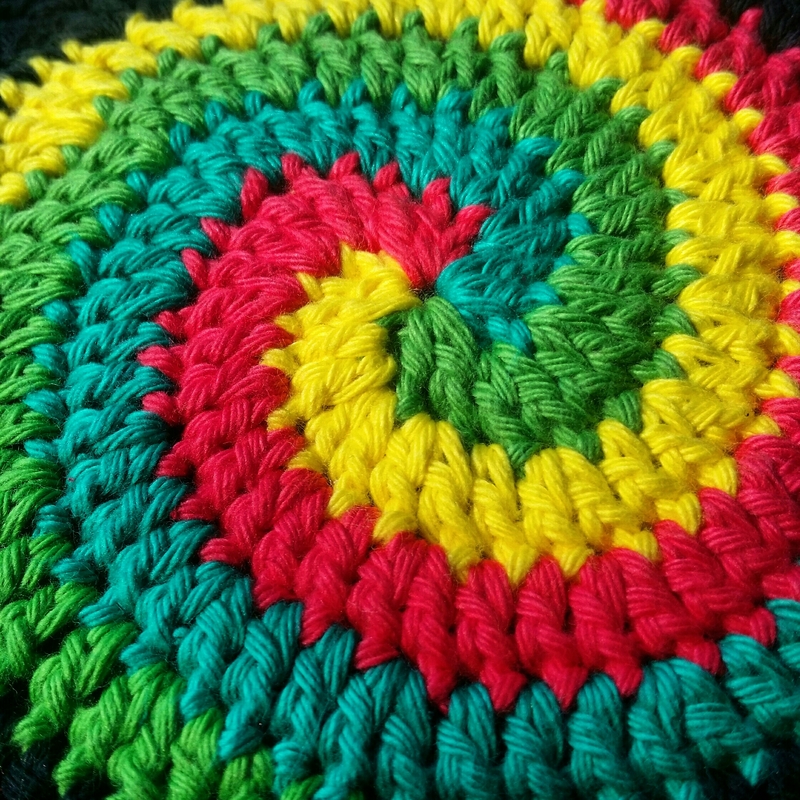 I really want to try a spiral square! Go for it! I got a new freeform book recently (will post about it soon) and I’ve been working some more spirals using the instructions in it as a guide, so interesting! Thanks! Nor had I. Love Instagram, always amazing work to be found – every day I am reminded that the possibilities of crochet are just endless!! Congrats on IG followers! I still have not cracked the IG code, but I find the crochet there to be amazing (including yours😊). Thanks 🙂 There is indeed so much awesomeness over there, I am so glad I got into it, such a great way to share and be inspired! The Sophie blanket is amazing.